Air conditioning alone can’t satisfy your home’s humidity requirements. Your air conditioning system is designed to control temperature, not humidity, and only removes some humidity as a byproduct of cooling. From a compact 65-pint unit (for own-homes, condominiums and homes with a closet HVAC system) to a 135-pint unit (for homes with over 4,000 square feet), Small Solutions, LLC can provide homeowners the whole-home protection and performance of central dehumidification. Reduces humidity to help protect furnishings and belongings from warpage, mildew, and rot. Homes in southern climates need year-round humidity control. Small Solutions, LLC Heating and Air Conditioning Services can offer humidity control for every size home. From a compact 65-pint unit (for own-homes, condominiums and homes with a closet HVAC system) to a 135-pint unit (for homes with over 4,000 square feet), Small Solutions, LLC can provide homeowners the whole-home protection and performance of central dehumidification. Air conditioning alone can’t satisfy your home’s humidity requirements. Your air conditioning system is designed to control temperature, not humidity, and only removes humidity as a byproduct of cooling. 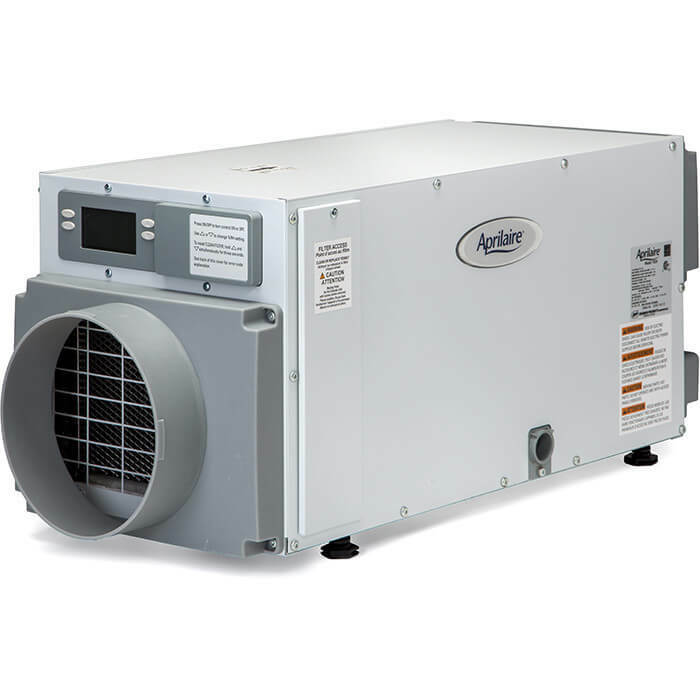 During the spring and fall seasons when it’s still cool outside but damp inside, your air conditioning isn’t running and your house is uncomfortable, you might need us to install a centralized dehumidifier system.